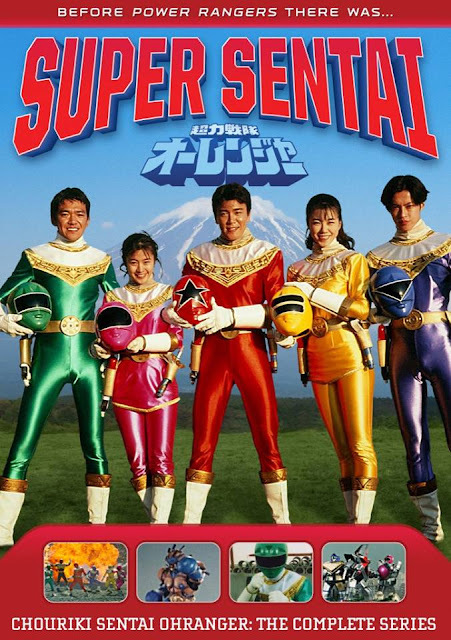 Bonjour Super Sentai fans! 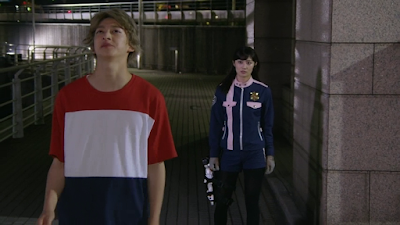 It's time for another Lupinranger vs. Patranger episode review. After some time, I thought about le last week's episode where le Lupinrangers and Patrangers get into a pickle with Raimon himself. It's only normal that le Patrangers aren't too happy with what's going on. After all, they are le police and it's their duty to protect the city. They must think of a way to get rid of Raimon before he claims any more lives. Meanwhile, Noel is still very much injured. I always felt super sad looking at this scene. Kairi wants to get back his older brother -- yet le Lupin Collection are still very much scattered throughout le series' continuity. 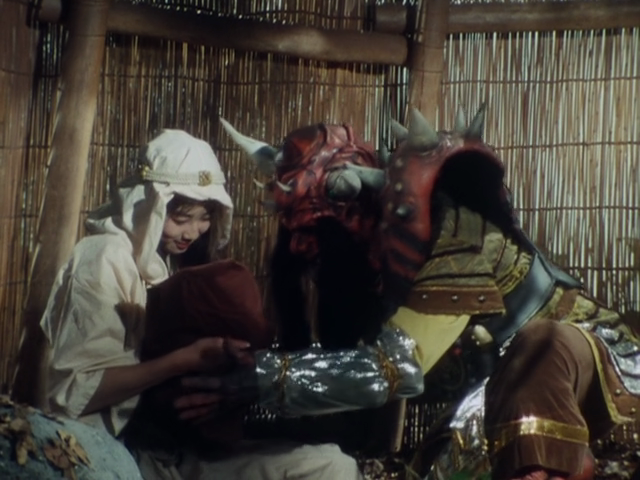 Turboranger introduced the Nagare Bouma as a concept way back in Yamimaru's first appearance -- the concept where a Bouma and a normal human would procreate and produce a child together. The results are disastrous for such offspring as shown first in Yamimaru and later in Kirika. Ragorn considers them to be abominations and later he had no choice but to induct them into his ranks -- after he foolishly sent Zimba, Jarmin and Rehda to their Do or Die Missions while ignoring the widely incompetent Zulten. Bonjour my readers! 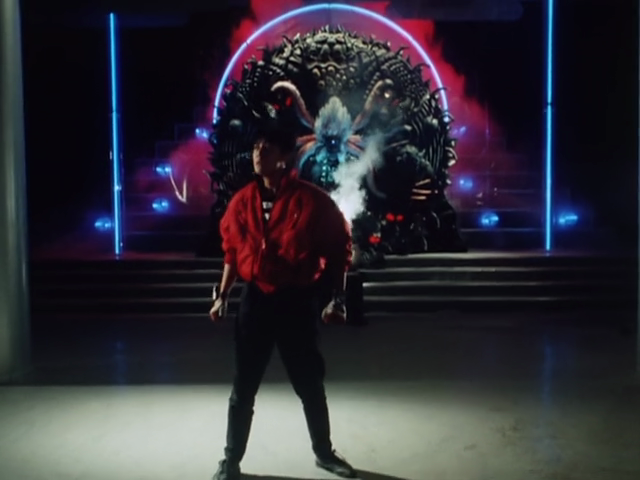 After le delicious 23rd episode followed up by a crazy rant of mine -- we are now having some martial arts and some past uncovered. So we discovered Sakuya was once a loser at le Global Police. Now, we are discovering more of Tsukasa's past. Hmmm... I wonder will we get Keiichiro's past revealed all the more soon? Le Global Police are thinking about le latest threat from le Gangler. Sure, Ushibaroque is gone while Giki and Raimon are still out there causing trouble. Is it me or is Noel really not a good artist? I think he could have gotten an artist's assistance if you ask me. Not that my drawing skills are good either. Hehe! 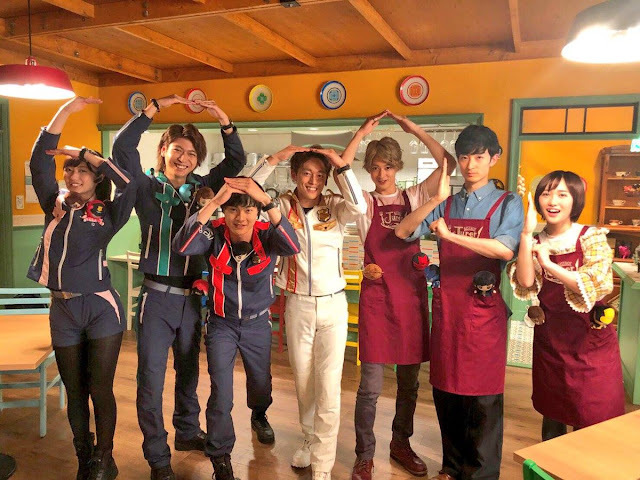 How Many French Dishes Have You Tasted Before And After Lupinranger VS. Patranger Nombre 23? This was le post that I wanted to do last Monday then I decided to do le "mandatory" episode review. Now it's time to do some rambling concerning French food. I remembered posting a series of challenges for le readers -- to "attack" their mindset and try making them do something such as taking le French pastry challenge as well as le Arsene Lupin related media challenge. Le week's episode inspired me to try and get some taste buds "attacked" and ask a new question, "How many French dishes have you tasted before and after Lupinranger vs. Patranger?" This is a friendly challenge to anyone who's enjoying le current Super Sentai season! Bonjour readers and subscribers! 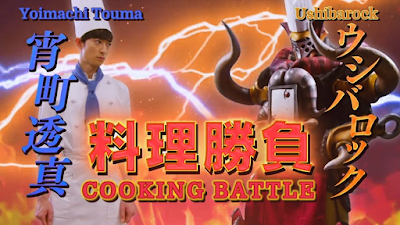 It's time for another Lupinranger vs. Patranger episode -- which really made me TOO HUNGRY to think of a proper post. I was planning not to give an episode review and write a food entry rant. Looks like I decided to do le weekly review after all though I'm wondering should I go minimalist on le pictures here soon? Anyway, let's move on! Le beginning has a new trio all named after food called the Raimon Gang. The members are known as Raimon Garofang (the leader and possibly a pun on lemon), Giwi Newzie (a pun on New Zealand, the kiwi bird as well as the kiwi fruit) and Ushibaroque the Brawl (a bull). They are le potential new successors of Don Dogranio's mafia gang. 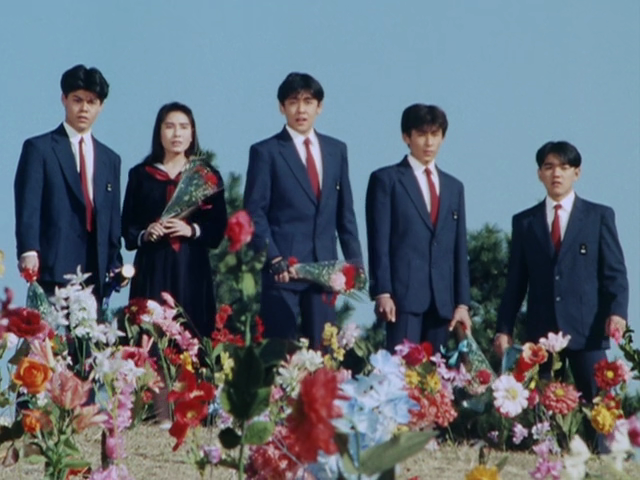 Turboranger episode 39 IMHO is one of the most badass episodes ever -- although I only saw it in raw and not with subs. I decided to use Shogo B'Stard's summary to at least help me with this post. This episode would probably be considered one of the most badass -- though it also has some plots that make you go "HUH?!" especially with how it unfolds. If the first half started killing off the three main generals then getting rid of the Big Bad (though he does return in the finale arc) wasn't going to be surprising, right? Well, I guess this episode was written so more episodes could focus on two teenagers with a really huge attitude problem until episode 46. Both Yamimaru and Kirika were stealing the show since they appeared -- having had more focus than even Ragorn himself. They plan to have their revenge on the world that despises them and somehow -- it's almost pretty juvenile of the Nagare Bouma but it works! One of the things I wished could be explained by the producers and the writers to why the three main generals were killed off in the first half -- all the while the super idiotic Zulten had the most number of appearances among the villains! I could talk about how Zulten already sucked up to the other three generals yet why wasn't he even given the task of destroy the Turborangers or never return to Ragorn's side like the more competent other three generals who all got banished for their failures to destroy "mere infants"? Perhaps, Ragorn considered him insignificant or needed him for a scapegoat -- that's why wasn't given the ultimatum huh? WARNING YOU'VE GOT SPOILERS AHEAD! Well, it's that time of le year isn't it? 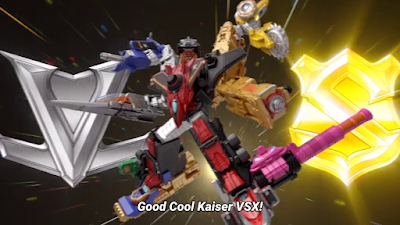 I already made a bit of a huge summary for Kyuranger in 22 episodes all the while I still continued with le weekly reviews for said show. Now, it's time for me to give my personal opinion on Lupinranger vs. Patranger in 22 episodes. While I thought last year was loads of crazy fun -- this year also presented some crazy fun itself. Last year was a weird mix of Spaceballs (Lucky and Garu), Star Wars (Tsurugi IS the head of the original rebellion and Don Armage looks like he a was a cross between Palpatine and Yuuzhang Vong) and maybe Star Trek (but I don't care about it). Now it's time to get down and dirty in giving my thoughts on Lupinranger vs. Patranger -- FRENCH TIME but not really! 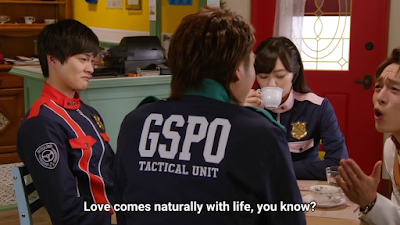 Lupinranger VS. Patranger Nombre 22: Love Comes Naturally?! Bonjour readers! It's time for another episode of Lupinranger vs. Patranger. I think I'm somewhat getting some mixed feelings on how I will be doing weekly episodes. First, I tried to copy Ukiyaseed's style (though he's been more into news updates now) then I want to do the Sentai Bandicoot's style of reviewing. Oh well... I hope I can find my own style between the two. Now moving forward to the "love story" of Umika and Sakuya. Le Patrangers enter into le restaurant -- where Noel must put on an act, pretending like he knew le Lupinrangers for le first time. It's all part of his job and whoever sent him (or maybe he sent himself) may still hasveto find a way to unite both teams. 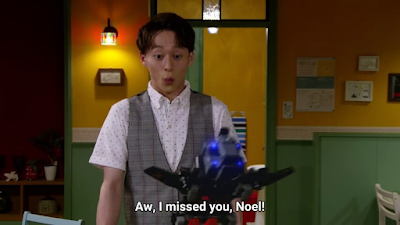 Noel is pretty much a Sakuya x Umika shipper which hey, I am WITH HIM! 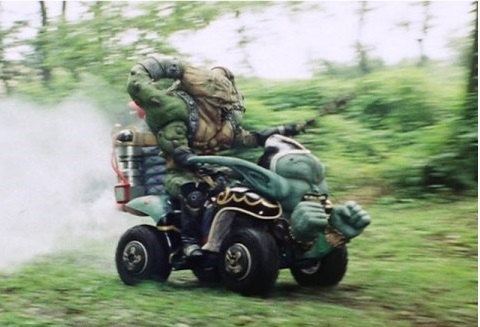 Choriki Sentai Ohranger was once intended to be the most serious during its time. Unfortunately, a real life disaster hit during March 1995. It was when a cult led by Shoko Asahara caused a sarin gas attack. Today, after so long a trial -- it's time for a real life menace to finally bite the dust. Japan Today reveals the execution of the mastermind itself. Its leader Chizuo Matsumoto was finally hanged after several decades. Ohranger's predicament was one of its own and it caused a two-year slump for Super Sentai with both Ohranger and Carranger. Yes, Carranger didn't really bring up ratings much higher. Both shows had to rely more on toy sales as ratings for both shows were low. Ohranger had no choice but to shift its tone from darker and edgier to a mix of really silly episodes and balanced episodes. It was even said that the show nearly ended Super Sentai.